Designing a brand new kitchen from scratch is such an exciting prospect, but for those who have little experience in managing this type of project, the sheer scale of the decisions involved throughout this process can also be rather daunting! Gather as much inspiration as you can from websites such as Houzz and Pinterest, as well as any other online galleries as your mood board will make it far easier to convey the look you are going for to your design team. This, along with insight from the following tips will help you to nail the perfect kitchen design to reflect your personality and requirements! 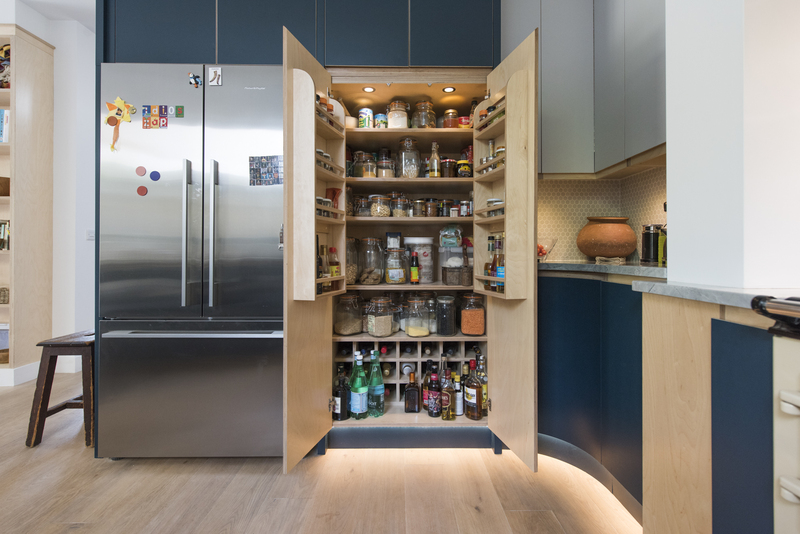 There is no such thing as too much storage space in a kitchen. Include as much as possible making use of fully extendable drawers and pull out cabinets for maximum convenience. Don’t forget to incorporate storage space for all of your electrical gadgets too – everything should have a suitably sized home if you wish to maintain a sleek and streamlined look in your new kitchen. It is important to be able to disappear the clutter when you want to. 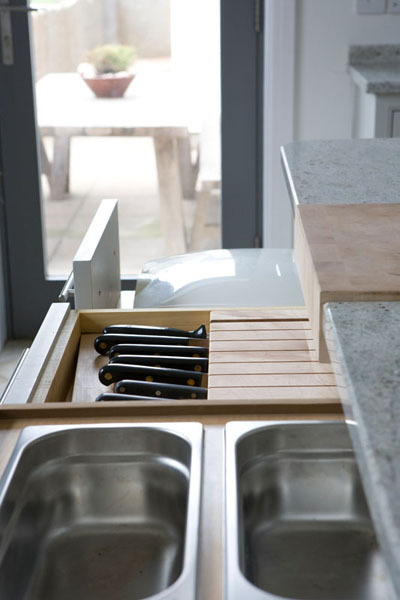 Think about where you will store the more awkward sized items such as baking sheets and cutting boards. 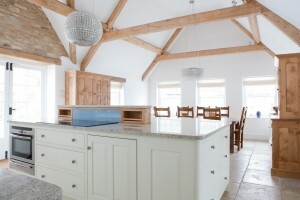 Your kitchen design must be created around the way you work if it is to be functional in practise. Consider the way you do things, your usual routines and plan accordingly to make sure your kitchen works efficiently for you. Include a decent sized prep area, which is free of any other clutter such as appliances, making clean up time a doddle. Whilst using your prep area you should be able to reach out to the waste and compost bin effortlessly. Recycling is so important for the environment and by incorporating recycling zones in your kitchen for the collection of your waste glass, plastic, metal, paper and compost, your household will be as green as can be with minimum hassle. 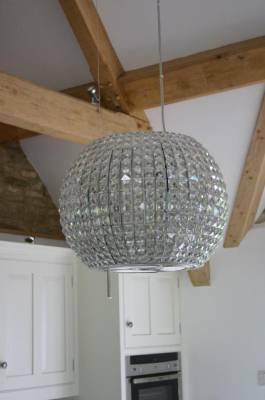 Lighting is a crucial design element in any interior (and especially so in the kitchen) and yet so many people leave it as an afterthought. The trouble with this approach is that it is very difficult to fit lighting retrospectively as an add on, without compromising your finish. Your design should take advantage of the natural light in the room, maximising any attractive exterior views. Be sure to add dimmers so that you can control your lighting and create an atmospheric space when you want to relax. Well-positioned task lighting is essential in the kitchen. Smoke, cooking vapours and smells will permeate your kitchen and cause a build up of grime in the absence of a decent extraction unit. With so many different styles, shapes and designs to choose from, you are sure to find a great unit that will suit your style and budget. Who would believe that extraction units could look as good as this one from Elica!? Keep in mind that all materials will show some signs of wear eventually. With some materials such as copper, natural woods and stainless steel, the aging is all part of the charm of that material. Carefully consider the characteristics of each material before committing – ask for samples and do your homework! As well as exploring the way a material will age you should think about the efficiency of each material, for example maintenance and the amount of effort that will be required to keep it looking clean! 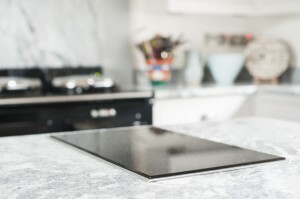 High gloss black granite is a great example – it looks incredible when clean, but each time you wipe the surface down you will need to polish it dry with a cloth to avoid streaks and smears on the surface. If this sounds like a chore that would drive you nuts: explore other surfaces that will be more forgiving! Consult with an experienced kitchen designer to help you design a kitchen that will look awesome and provide you with a highly practical space that will be a pleasure to use. A brand new kitchen is a substantial purchase and therefore you want to ensure you get your design right the first time! 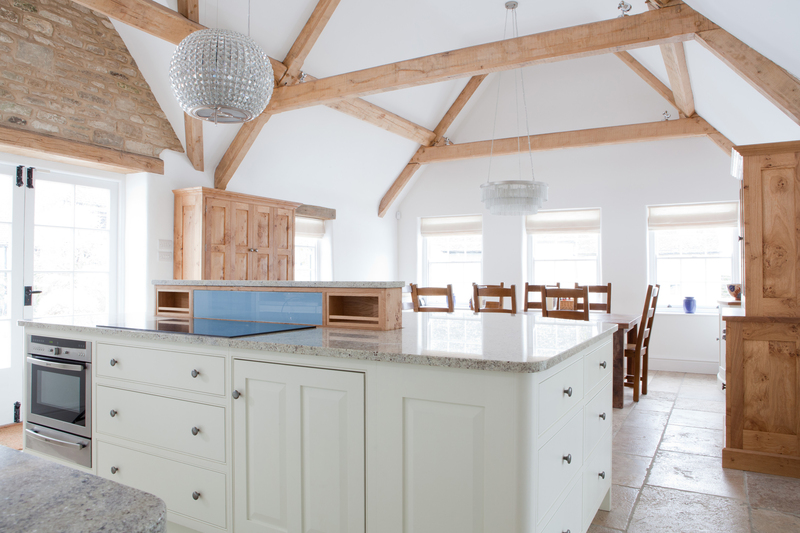 If you would like to discuss your project with George – please drop us a line at info@georgerobinsonkitchens.co.uk. 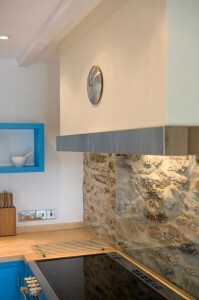 It would be a pleasure to assist you in designing your perfect kitchen!